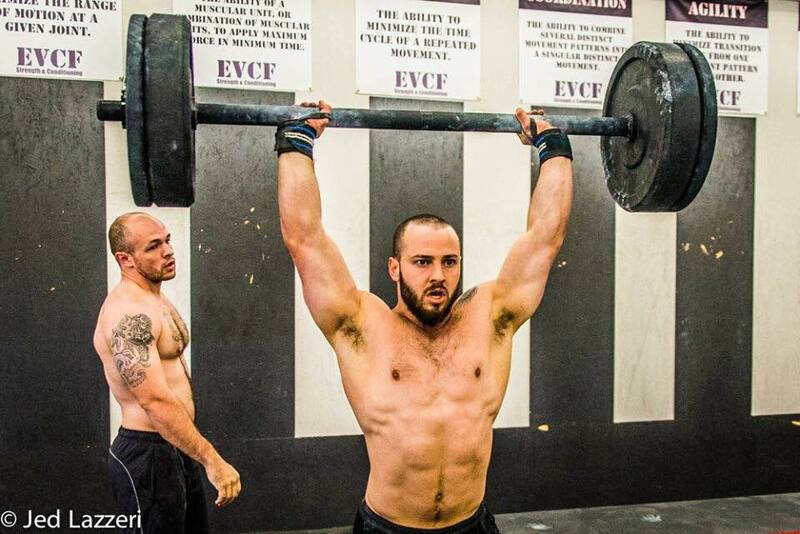 As a strength coach, Josh has worked with Ohio University, UCLA, UC Riverside, and the United States military. Josh has also been a foundational member of the CrossFit community as a Level 1 Seminar Instructor, a CF Weightlifting Seminar Instructor, Head Coach for Team USA in the 2012 London Invitational, and as an analyst and color commentator for CrossFit Regional and Games events. He is also a member of the CrossFit Level 1 seminar advisory board. As an athlete, Josh competed in three national weightlifting championships and lettered in football and track at Ohio Northern University. There, he earned All-American honors in track and field. He also made the podium at the first two CrossFit Games. You have a long and impressive history in a wide range of sports. Can you give us the highlights of your athletic and coaching history? Coaching-wise, I got my start as a Graduate Assistant Strength Coach at Ohio University working under the legendary Ethan Reeve. From there I moved on to a two-year stint as an Assistant Strength Coach at UCLA. My first job as Head Strength Coach was at the University of California Riverside, where I had the opportunity to be the school’s first strength coach and to build a program from scratch. The first thing I did was clear out the all the machines. For a while, we just had bars and weights laid out on the floor. The kids had to work in 3’s and be each other’s human squat racks. For the last 7 years, I’ve been a strength coach for the military. In addition to my “day job,” I work as an instructor for CrossFit Level 1 and CrossFit Weightlifting courses. Athletically, I played football and track in high school and college. I earned All-American honors in Track and Field (NCAA Division 3). 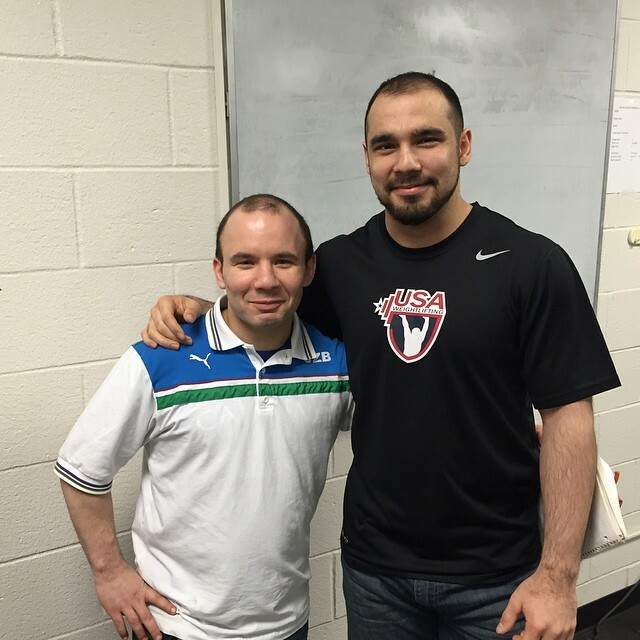 While at UCLA, I met Mike Burgener and began competing under his tutelage in weightlifting. I was able to qualify for and compete in three National Championships in that sport. Then of course, CrossFit came along in my early 30s, and I was able to make the podium in the first two CrossFit Games. What stands out to you as a particularly memorable experience in all this? My best athletic memory comes from my Indoor Track & Field Championship meet my senior year of college. I had been conference champion in the 55m High Hurdles my sophomore season, but an ACL tear in football had forced me to miss a season and had made matching my pre-injury times very doubtful. I had this meet circled on my calendar for two years as my goal to be “back and better than ever.” I don’t think it’s possible for a person to work harder than I did over those two years, but despite my efforts I was ranked about 4th in the conference going into this meet. The finals went well. I won, reclaimed my conference title, qualified provisionally for the NCAA championships, and bested my previous best and set a school record. If you were to program for a CrossFit gym—the sort that has a large clientele that is interested in general fitness rather than competitive CrossFit—how much of the Olympic lifts would you incorporate and how would you integrate them into the programming? I’m a big believer in the Olympic lifts for athletic development and fitness. I’d start by doing the Burgener warm-up every day. It’s a great warm-up and it develops skills and mobility that carry over to most activities in a typical CrossFit WOD. I’d also incorporate the Oly-lifts 2-3x a week as skill work post warm-up and pre-workout. I’m talking about 5-10 minutes of doubles and triples in the 60-75% range. This will grease the groove in the movements. Also, think about it… if your athletes are highly skilled in the Oly-lifts, they will be ready for anything you throw at them with a barbell, KB, DB etc. When we O-lift, we are working on pulling from the floor, squatting, and going overhead. It’s great practice for just about everything. A slightly different demographic, CrossFit competitors must learn to cycle through Olympic weightlifting movements at higher volumes with speed and precision. How does an athlete incorporate the Olympic lifts into her or his training to prepare for this? I believe you must have a different mentality and slightly different technique for 1RM O-lifting and for high rep O-lifting. Both skills must be trained and the athlete must be capable of not allowing the 2 styles to merge or allowing the high rep style to creep into the high load technique. It’s difficult, but focused deliberate practice is how you do it. What about athletes who have active jobs such as first responders or those in the armed forces? What would you prioritize in terms of lifts for strength and power development without detracting from their job preparedness? Consistency is key here. Your body will adapt to training but you must be consistent. Your job title doesn’t change the fact that the barbell squat, deadlift, and press are the most efficient ways to get strong and the Olympic lifts are the best way to train rate of force development. People whose jobs/lives depend on their fitness can’t afford to make the same mistakes the general population can make. You must have a plan and work your plan. GPP requires variety, but like CrossFit preaches, that variety must be planned variance and include a planned progression for increases in intensity. Lastly you must take a S.W.O.T. approach to your fitness—know your Strengths, Weaknesses, Opportunities, and Threats. Your strengths and weaknesses determine where you need to spend your time. Opportunities are times in your life/work cycle when you have time to train and the ability/time to recover from your efforts. Threats are when you have limited time for fitness… you may need to focus just on maintenance or recovery during these times. The key is looking at your calendar well and advance and develop a training plan that fits. As someone deeply involved in the CrossFit community, how do you hope to see CrossFit grow in the coming years? I hope to see it become more mainstream. It’s the answer to the chronic disease epidemic facing the First World. I get a little emotional when I think about how complete a package it is. All the components are there in a very functional/usable way. 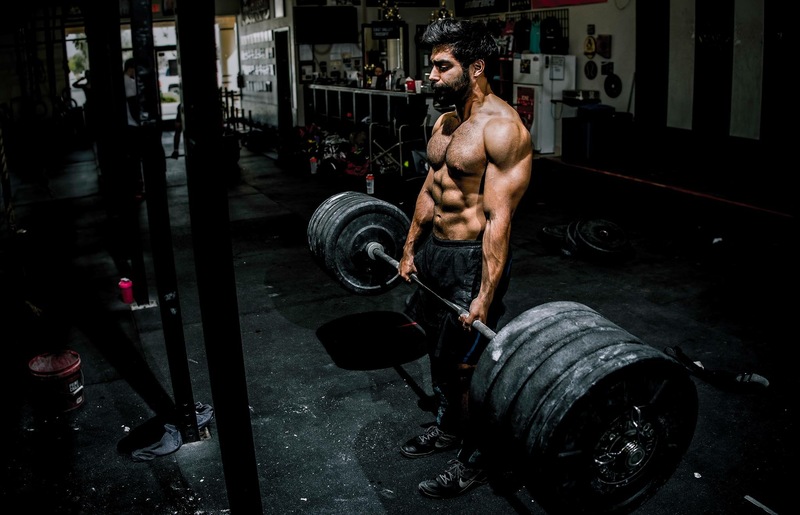 The workouts are unmatchable… I mean you can avoid chronic disease doing just about any type of exercise but you can’t do so as efficiently as CrossFit. We don’t have an RD at every box, but the culture of nutrition that resides within CrossFit will get you well past chronic and on your way to fitness. The mental component—in terms of goal-setting, self-esteem, a positive outlet for your stress—is probably more beneficial than going to a shrink. The community aspect drives it all… gives people connections, motivation, and support that often rivals or exceeds what they receive within their real families. Then the linchpin is we actually define and measure fitness. What gets measured gets managed. Do you have specific personal or professional goals that you’re working toward right now? A big personal goal right now is that I bought a house late 2012. I set the goal to pay off a house in the same amount of time most people pay off their car. The mode for a new car note in America is 66 months. Right now it looks like I’m going to fail, but it will be close. I could probably do it if I raided my kids’ custodial accounts! Professionally I’m working on being able to communicate more precisely, concisely, and memorably. Both my day job and my work as a seminar instructor require me to be an effective communicator. I need to get everything across the first time because I don’t have multiple interactions to fix things. I’ve taken it upon myself that if someone doesn’t follow directions or move like I’ve instructed, it’s my fault not theirs. That perspective really challenges you as a coach. What is the best piece of advice you ever got as an athlete or a coach? Wow… I’ve had so many great coaches and mentors, and I’ve worked with so many unbelievable coaches it’s tough to narrow that down but I can think of two instances that I feel were transformative. The first occurred my freshman year of high school. For the final game of the football season, four of us freshman got “called up” to dress with the varsity. We were not going to play, but the coaching staff envisioned us as contributors to the following season and wanted us to get a taste of “Friday Night Lights.” Before the game, my father told me to stand next to the coach with my helmet on, chin strap strapped, and mouth guard in for the entire game. He told me to be ready and that if something happened and the team needed a guy to go in, the first person coach would see would be me. I didn’t get in that game, but it was an important lesson in preparation, commitment, and availability. The second occurred the next football season. I always had the ability to grind. I could always outwork my peers. All the stuff that doesn’t take talent, I had in spades, but I used to turn it on and off. Grind to get ahead then relax. During two-a-days that August, my position coach pulled me aside and told me this (I’m leaving out the expletives and name calling): He said, “Josh, you’re probably the fastest guy on the team… you should be first in line for every drill we do. The only reason you wouldn’t be first in line is if you’re lazy or you just don’t care.” From then on, I had to hustle everywhere on the field because if I wasn’t first, my position coach would make me do pushups, or burpees, or take a lap, or shame me in some visible way. Some of my teammates got a kick out of this, so being first for everything became a real chore! Lastly I’m working with a fitness app, Athex, that is just an unbelievable tool. Download it free from the app store and check out all the awesome features.